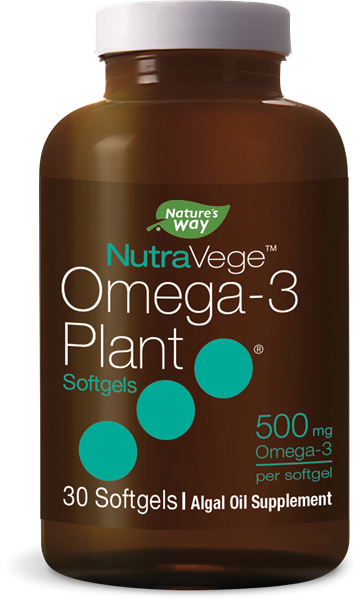 NutraVege™ Plant-Based Omega-3 Softgels - Nature's Way®. Adults and adolescents 14 years and older take 1 softgel daily. Do not bite or chew.